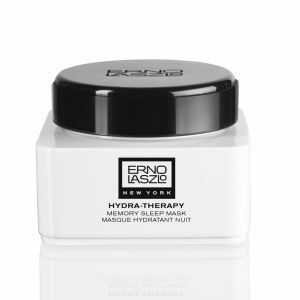 Treat your skin to Erno Laszlo's Hydra-Therapy Skin Vitality Mask, a dual-phase, peel-off face mask that works to replenish moisture while cooling and calming skin. Infused with natural hydrators and a cocktail of beneficial ingredients, including ProVitamin B5, Comfrey Root and Zinc extract, the plumping mask delivers replenishing moisture, refreshing the complexion and filling in the appearance of fine lines. 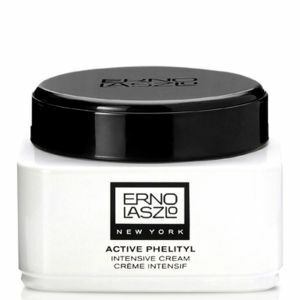 It delivers moisturizing and antioxidant properties while protecting against UV rays and harmful pollutants. 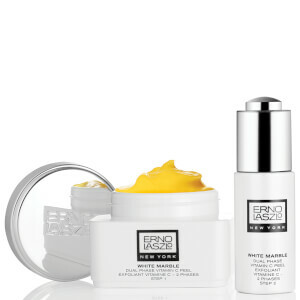 After use, skin feels intensely moisturized, soothed and protected with renewed energy and youthful radiance. Immediately after cleansing, mix the two phases vigorously (it will feel like a liquid mousse) and smooth the mask over your face, avoiding eyes, brows, hairline and mouth. Let the mask dry for 15-20 minutes, then peel downward from the forehead, splashing your face with warm water to remove any residue. Use as needed, as part of your Hydra-Therapy treatment ritual. Ingredients Step 1 Liquid/Liquide: Water (Aqua/Eau), Glyceryl Polymethacrylate, Panthenol, Allantoin, Propylene Glycol, Methylparaben, Benzyl Alcohol Ingredients Step 2 Powder/Poudre: Magnesium Carbonate, Algin, Silica, Calcium Sulphate, Pentasodium Triphosphate, Ci 77491 Ci 77492 Ci 77499 (Iron Oxides), Ci 77947 (Zinc Oxide). The mask is really fantastic. Perfect hydrating ability, worth buying. this mask is amazing! skin will become smooth after use.